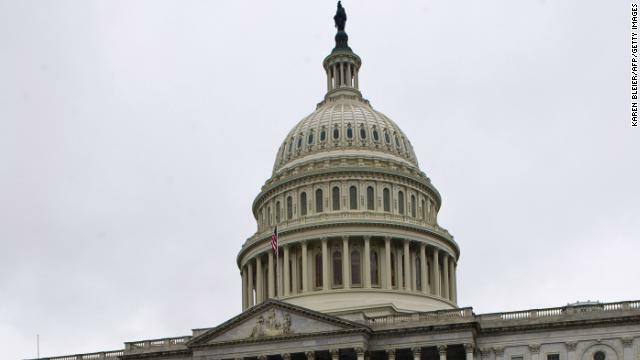 Washington (CNN) – Two days after a little-known rules change became public, the chairman of the House Ethics Committee announced a complete reversal Thursday, and the committee reinstated a requirement for how members disclose privately-funded trips. Ethics Chairman Michael Conaway, R-Texas, revealed the U-turn during a local radio interview in Texas Thursday morning. A few hours later, the committee sent out an official seven-page statement confirming the reversal. “In light of the feedback we have received from our fellow Members (of Congress) and after further consideration, we have determined that the Committee will return to its previous guidance regarding disclosure of privately sponsored travel… effective immediately,” the Ethics Committee statement read. The committee did not give any other specific reason for rolling back its decision, but stressed the importance of protecting the integrity of the House. This public reversal erases a rules change that was made by Ethics Chairman Conaway and top committee Democrat Linda Sanchez behind closed doors months ago, but was only revealed this week. It was first reported in a story by the National Journal. What was the rules change, exactly? The two top Ethics Committee members agreed to drop one requirement for how House members disclose privately-funded travel. Those trips are designated as diplomatic or informational and can be extensive, allowing lawmakers and their spouses to travel overseas and stay in well-appointed hotels with non-profit interest groups picking up the tab. The change essentially removed the list of such trips from the high-profile financial disclosure report that each lawmaker must file. Those in favor of dropping that requirement argued that it was an unnecessary and outdated duplication, because the trips are reported in much greater detail in a separate Gift and Travel disclosure. According to the committee’s Thursday statement, it's staff reviewed more than 2500 disclosure reports in 2013 alone, a process that involves in-person interviews and lengthy reviews of information. But watchdog groups like the Citizens for Responsibility and Ethics in Washington (CREW) pounced at the idea of removing the requirement, even if it was duplication. To those fighting for more transparency, it was a move in the other direction and made it easier for members of Congress to hide posh travel. CREW credited public reaction for the 180-degree turn on the issue by Conaway and Sanchez. "I think it was predictable," said CREW executive director Melanie Sloan, " There was too much immediate outrage over something they didn't need to do." The House Ethics Committee has advised that any office which has already submitted a financial disclosure form without the travel information should now send that information to the House Clerk. What does it mean when the Ethics Committee suddenly realizes that they have made unethical behavior easier to commit? They were being disclosed so what the heck is the big deal?! Isn't reducing government duplication a good thing?! Are people just too lazy to look someplace else? This is total nonsense. The fat cats were simply looking for a way to take advantage...........as usual. Now where the hell is Issa when you need him? So just how was this done? There were still reporting requirements for this, and more detailed ones. What is so good about redundant reporting requirements? Your statement makes zero sense. I'm sure it makes no sense to you. One report is more readily available to the public than the other. They got rid of the report with the easier access. It's a fact finding mission! Haven't you figured that out yet ! It's your government in action! Hell, it ain't their money! It's your money! You voted for it. Who was it, the IRS that recently had a big party in Las Vegas, uh, A seminar to provide you with better service! You like all the big liberal spending programs? This is an out shoot of them. And, by the way, the Liberal Press isn't going to investigate any of them! I dont really like or trust any of those dead beat D.C. fat cats . But those dems in there are the worse evil this nation can support . @Chris..E.al, it is the Republican trash that messed and looted this nation linked to un-funded two wars while their friend Bin Laden was happily sleeping in Abbottabad, Pakistan, listening to Israel to loot further and making Halliburton type contracts and selling arms and ammunition to Iran and trickle down nonsense. Now this nation has healthcare–not a single denial for pre-existing condition patients and stock market soared to 17k s n p to 5k depicting strong growth–still you bicker, shame. Its amazing watching the Right-wing spin on this. While some agree that the reversal was a good idea, they use it to spin off into totally unrelated topics, in yet another desperate effort to disguise their willingness to overlook mistakes. So typical. I'm checking in to thank you for your earlier post to me. My original reply didn't go through. Have a wonderful holiday! @Chris..E.al – I dont really like or trust any of those dead beat D.C. fat cats . But those dems in there are the worse evil this nation can support . it's *worst.. which indicates education level. Thus, the lack of knowledge and vitriol displayed by the comment is hardly surprising. Just as Opus the penguin said: "Accountabilty is unAmerican!". Good call on the U-turn for travel requirements. @Gurgyl – Obama signed a no bid contract with KBR for $560M that was a subsidiary of Halliburton. I can't make sense of the rest of your rantings. there is no such thing as Democrat or Republican. Jobs report for June 2014 -288,000 jobs created, unemployment 6.1%. Come on come at us with that impeachment trash.